The 1975 Rapid City and Sioux Falls, South Dakota setting of The Pretender was interesting. I don’t remember reading a book set in this area, and I enjoyed the descriptions of the area and getting to know this part of South Dakota. The book started of ok for me, but Tillie is a most confusing character. To be in the situation she is in, she just doesn’t seem mature enough for what she is doing. I was just really frustrated from the beginning with Tillie, from the artwork, to her reactions to the situation she witnessed, it was just all something that just left my head spinning. Though through all this, the storyline is good, a good clean story to read. I encourage readers to check this one out, your opinion may very well be different from mine! I received this book from Litfuse Publicity Group and the author to read and review. I was not required to write a positive review. The opinions I have expressed are my own. I am disclosing this in accordance with the Federal Trade Commission’s 16 CFR, Part 55. For Immediate Release (San Diego, CA) – According to a Pew Research Study, only 59% of parents of children under 18 pray on a daily basis, and 19% seldom or never pray. Though recent statistics show that a majority of families eat together at least most nights of the week, there continues to be a disconnect between family time and spiritual growth. 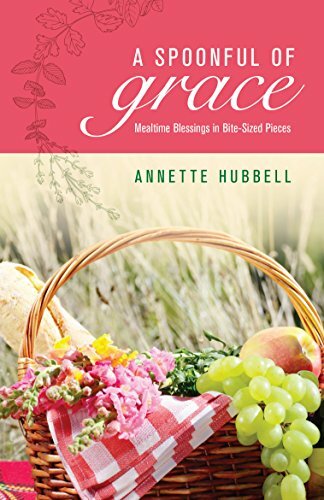 With her new book, “A Spoonful of Grace: Mealtime Blessings in Bite-Sized Pieces,” author and actor Annette Hubbell seeks to bridge that gap. “A Spoonful of Grace” is a collection of 366 evening meal graces taken from all 66 books of the Bible. They are designed to provide meaningful exposure to prayer and the Bible at a most opportune time: the family meal. 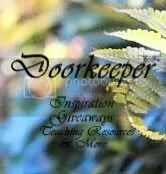 Each one is inspired by its companion Bible verse(s), designed to be read in its entirety in about two minutes, and enhanced by a section called “Grace Notes” which are quotations and ideas to further illustrate the theme of the verse, promote more conversation, and to even answer questions generated by the Scripture. Hubbell says the idea for the book came about during lunch with friends. The graces and devotionals on Sundays in “A Spoonful of Grace” are celebrated with readings that are a bit longer to allow for favorite stories such as David and Goliath, Daniel in the lions’ den, or Jonah and the big fish. There is also a “Special Graces” section for celebrations such as Easter, Thanksgiving, Christmas, and birthdays. Hubbell says early responses to the book have been positive. For more information, visit http://www.AnnetteHubbell.com or http://www.SpoonfulOfGrace.com. 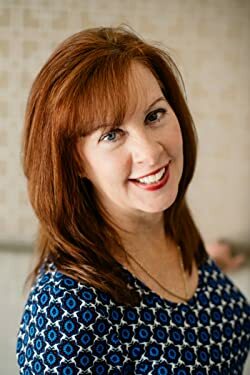 Annette Hubbell earned her undergraduate degree in Marketing from San Diego State University, her M.B.A. from Cal State University in San Marcos, and a Certificate in Christian Apologetics from Biola University. She has been featured in over 160 performances, and starred in the DVD, of “Witness to Gettysburg” edited by 33-time Emmy Award winner, Robert Gardner. She was awarded Presenter of the Year twice at the Civil War Round Table of San Diego, and is a member of the Daughters of the American Revolution (DAR). Hubbell lives in San Diego, California with her husband of 33 years, Monte. They have a daughter, Amy, who lives with her husband, Scott. 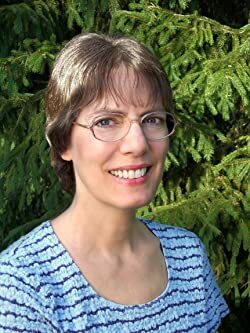 One thing I appreciate about Kim Vogel Sawyers books is the way she weaves living a Christian life in the lives of her characters. In Bringing Maggie Home, I love the way she eased the Gospel into her story, especially in the life of Sean. I really like Sean, the Christian that stood up for his faith and his God, but didn’t act holier than thou! He was just a nice guy and I was really rooting for him and Meghan to get together. Hazel was the sweetest old lady and my heart ached for her and the heartache she lived for 70 years. Diane was a little different. I did not like her and her arrogant ways and attitude. In the end, I warmed up to her more. Hazel’s sister Maggie has disappeared when their mother sent Hazel blackberry picking and sent three year old Maggie with her. Despite the community searching effortlessly, Maggie was never found. Hazel and her parents were never the same. Life was hard, bitter and so sad from that day on. Hazel went through life with Maggie’s lost a secret from her family. It was when her granddaughter came to stay with Hazel to heal from an accident that the secret was accidentally brought to surface. Follow the journey of Hazel, her daughter Margaret Diane, her granddaughter Meghan and Meghan Cold Case Crime partner Sean as they investigate this seventy year old case of missing persons. I received this book from Litfuse Tours Group to read and review. I was not required to write a positive review. The opinions I have expressed are my own. I am disclosing this in accordance with the Federal Trade Commission’s 16 CFR, Part 55. 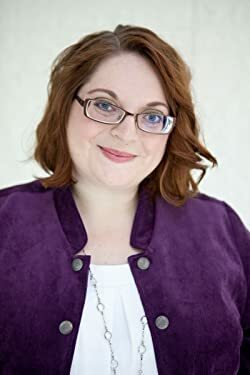 Kim Vogel Sawyer is a highly acclaimed, best-selling author with more than one million books in print, in several different languages. Her titles have earned numerous accolades including the ACFW Carol Award, the Inspirational Readers Choice Award, and the lGayle Wilson Award of Excellence. Kim lives in central Kansas with her retired military husband Don, where she continues to write gentle stories of hope and redemption. She enjoys spending time with her three daughters and grandchildren. Already well-versed in the natural healing properties of herbs and oils, Jennie Pickett longs to become a doctor. 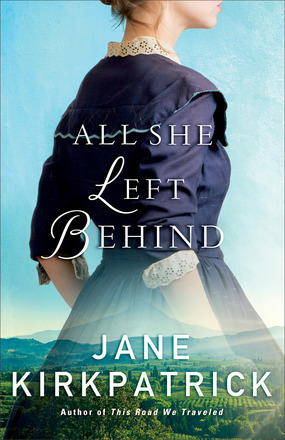 But the Oregon frontier of the 1870s is an unforgiving place–especially for a single mother. To support herself and her young son, Jennie finds work caring for an older woman. When her patient dies, Jennie discovers that her heart has become entangled with the woman’s widowed husband, a man many years her senior. Their unlikely romance may lead her to her ultimate goal–but the road forward is uncertain. This was a good story, it started out with Jennie’s husband trying to make a life for his family. But unbeknown to Jennie, he filed for divorce, giving her the papers months after he did so. Jennie, enjoying her knowledge of herbs and their healing finds work caring for an older woman. By the time the woman passed on, Jennie and her very much old husband had fell in love. The first of this story was heartbreaking for Jennie and I felt sorry for her, was really happy she could find work to support she and her son. But then the story changes and Jennie’s life is better than it has ever been. And this is where I really didn’t care for Jennie’s character. I felt like her dreams to be a Dr was so strong she gave up her family to do so. Her son was giving her so much trouble, her smaller children were hers to take care of, but she was more interested in her career as a Dr than she was taking care of her family. The story has a sad ending, I wasn’t expecting that. And I don’t want to go into anything else because I will be giving away too much. I encourage you to read this story. Your feeling about it may be completely different! Jane Kirkpatrick is a great author, I have read and loved many of her books. This is just not my favorite. WOW! Just WOW! Reading Rule Of Law was like reading the headline news, or watching a news channel. I love reading Randy Singer’s legal fiction because being a lawyer, he knows everything about the law, and knowing and working with SEALs and other military personnel, he has a pretty good knowledge about the government. Rule of Law was kind of scary to read because I kept going back reading pages, and wondering if things like this is happening today among our leaders. Have there always been the Philip Kilpatrick’s and John Morcano’s in Washington running our country? It’s a lot to think about! I really like Paige. Her integrity, her knowledge of government affairs, and her strength and courage is the kind of people we need leading our country. And I really grew to respect the character of the president, and her integrity and willingness to admit her mistakes and failures in front of all America. Kristen was wonderful, and the characters of Tony and Patrick really showed me the character of a SEAL, and the danger of their missions, as well and the courage and love they have for their country. I’ve always had a special love and respect for the military, but after reading this book, that love and respect has hit a high level. Also, I realize how much we all need to really be praying daily for those who sacrifice their lives of our safety. And have committed to pray even more to our president and leaders and all of our military. Oh and I can’t forget Wyatt, who I grew to respect, to my surprise, and of course Clients was adorable. And Wellington did an awesome job of backing up Wyatt. Randy Singer in just one if the best of the best writers. Rule of Law is so real, the characters are so realistic, I was actually looking up pictures of the various places described in scenes throughout to book so I could imagine myself being there in the story. The events, the knowledge, the settings in Virginia Beach and Yemen, all described so vividly by Mr. Singer will stay with me for a long time. Well, really the entire book, even the credits, authors notes and praises for Mr. singer will stay with me for a long while. This book is so full of events, twists and turns at every angle, you just have to read it for yourself. If you love a good clean legal fiction, you need this book! I received this book from Litfuse Tours Group and the publisher, Tyndale House to read and review. I was not required to write a positive review. The opinions I have expressed are my own. I am disclosing this in accordance with the Federal Trade Commission’s 16 CFR, Part 55. 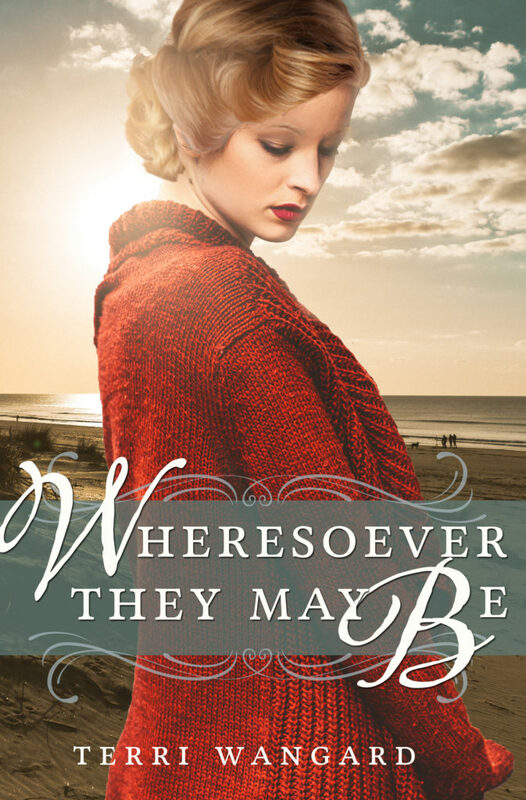 For a WWII book to be good, attention to detail is a must, and historical scenes and events accurately displayed and Terri Wangard does just that in her book, ‘Wheresoever They May Be.’ And as the story unfolds, I really enjoyed getting to know each of the characters and their journey and struggles as their story of the war was told. And if you are a WWII buff, you will love all of the history throughout this book in the scenes so vividly described by the author. Ms. was able to take the struggles and events in the lives of Frank, Lily, Joe and Susan and weave together a compelling story that will stay with me for a while. 2nd Place prize of the Wheresoever They May Be – eBook!! 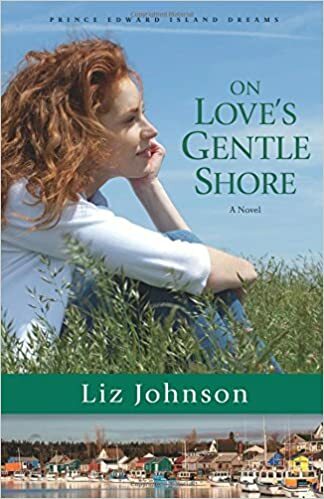 Author Liz Johnson has graciously offering a copy of On Love’s Gental Shores to one person in the US who comments on my blog! Scroll to the end for more info! I just finished reading On Love’s Gentle Shores and Wow, Liz Johnson is an amazing writer! From the beautiful shores of PEI to the personal secret feelings of its characters, Ms. Johnson describes every little detail in a way that you feel you are living in the story as one of the characters. The very last person Natalie O’Ryan wanted to see when she came back to PEI after 15 years was her one time best friend, Justin Kane. But wouldn’t you know he would be one of the first people she would see. And if she didn’t want to see Justin, well, he was more adamant about seeing her! Eventually emotions explode, and not in a good way, one letting the other know they had been severely hurt. But when Natalie’s fiancé has to go back to his job for weeks leaving her alone to plan the wedding, Russell suggests that Natalie’s friend Justin help her. But if Russell only knew, and if course he didn’t because Natalie hadn’t told him. I so much enjoyed this whirlwind of a journey as the story plays out and emotions and tensions grow stronger every day between Natalie and Justin. And Liz Johnson makes sure we as readers feel every ounce of those feelings. Of course I fell in love with Justin, and Natalie was just the sweetest, but my reason for wanting them together so much was the past they had shared as best friends. And I’m going to stop at that because I don’t want to give away anything else. It will ruin everything for you, so you really need to read this one for yourself. Natalie, Russell and Justin’s story can be read as a stand alone, but it will much more interesting if you read the first two books in the series. This book was given to me by the author, Lis Johnson. I was not required to write a review of this book. I chose to write this review, and the opinions are mine alone! I wrote my first short story when I was seven and signed my first book contract when I was 27. In those years I kept writing and writing. I wrote my first novel when I was twelve, and it was a terrible western romance. I continued writing stories throughout high school and tried my hand at another novel in college. It was also really terrible. But I kept taking classes and learning and growing as a writer. And then when I was twenty-five I told a friend of mine about a book idea I had. She told me to set up a writing calendar, and then she checked with me every day to make sure I’d written the night before. That book—after many rounds of revisions—became my first published novel, The Kidnapping of Kenzie Thorn. Writing is a necessity for me. If I go too long without writing, the voices in my head start getting rowdy. Overcoming distractions and fear. Like the dog who sees a squirrel, I’m easily distracted by interesting things. A new bit of research. A funny video. Pictures on Facebook. Pushing the distractions aside is hard but an essential part of writing. And the same is true of silencing the voices of doubt that I hear every time I sit down to start a new chapter. It’s easier to listen to that fear than it is to tell it it’s wrong and trust that you have an important message to share. Every book is different, and I give myself enough time to write each one to the best of my ability. But my last couple Love Inspired Suspense books have each taken me about three months to finish. 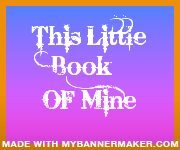 I love to read just about anything I can get my hands on! Lately I’ve been reading a lot of Regency era romances by authors like Julie Klassen. I also love westerns by Karen Witemeyer and Regina Jennings. Sandra Orchard is a favorite in the romantic suspense genre. I also love general market favorites like The Princess Bride, The Guernsey Literary and Potato Peel Pie Society, and Unbroken by Laura Hillenbrand. I wish I had more time to read, as there are so many good books releasing every day. But if I read as much I’d like to, then I’d never write! What’s the best advice you have for aspiring writers? Finish your manuscript. It’s hard work. It takes a long time, but there’s nothing like writing your first manuscript to practice writing. One of the best ways to get better at writing is by writing. So get your seat in a chair and your fingers on a keyboard (or pencil to paper) and get writing. Is it true you once worked at Walt Disney World? It was the hardest job I’ve ever loved. There’s something amazingly wonderful about taking personal responsibility for giving every guest a great day. Getting my car cleaned. I’m terrified of being stuck in the carwash, so I avoid it at all costs. My dad’s hamburgers. They’re always perfect and so tasty. Hop on over to the contact page and shoot me a note. Or visit me on Facebook or twitter. I try to respond to everyone who contacts me. One entry for commenting on my review. Additional entry if you like my post. And another entry for following my blog. Three entries in all. And please tell me in the comments if you do the additional entries. 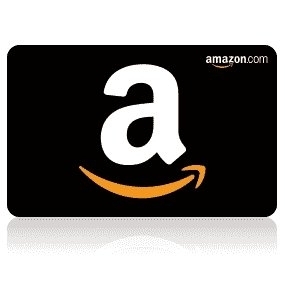 Giveaway good only if I have 10 or more sign up. I will extend the time if there is not enough.